I have a small startup that is not yet making money. Appreciated the free trial so we could test it out first before subscribing. We also found it very easy to integrate into our app. I also like that we can integrate bug reports into our Trello board. Feature wise, I like the ability to take screen captures and recordings when submitting reports. I didn’t care much for the shake feature in order to invoke the bug report dialogue. It was too easy to invoke and interrupted the use of our app, which is a Fitness app. Very distracting. We needed to have a tool that allowed users to report bugs and provide feedback. Also, the crash reporting capability is very helpful for quickly identifying and solving crashes. While we haven’t used it yet, the survey capability will be very helpful in gathering customer sentiment and gathering feedback on what features to deliver next. Thank you very much for your valuable feedback. I am happy you liked your trial and managed to test some of our integrations. Also for the shake feature, I definitely get your point and it's valid, but here where you can try the other invocation methods that would match the nature of your app. I am pretty sure you have more feedback you can share with us by now. We'd love to hear back from you and have an awesome experience with Instabug. "Instabug as Crash Reporting Solution for Cross-Platform Application Development"
We've had a few hiccups with the React Native integration - mostly related to documentation defects - but I'll hand it to the Instabug team - they've been very fast to respond to any questions and we were up and running in a matter of days. Instabug is NOT an analytics solution; while you *can* implement user events, these events are not reportable unless a crash occurs - or the user files a bug report (FYI). We were able to tighten the feedback loop with our testers by implementing in-app chat during our beta phase. This allowed us to address critical defects within hours instead of days - or weeks. We significantly reduced our time to market - this is strongly attributable to Instabug. We've disabled in-app chat for our production release, but did elect to leave bug reporting and surveys enabled. We've also enabled the Jira integration. The information collected during crash reports (logging, user events, repro steps, screen shots, logs Etc.) is invaluable in helping our engineers troubleshoot issues quickly. Internal users who file bug reports love receiving updates in real-time. Thank you very much for the kind words, we're very happy Instabug is helping reduce your turnaround time! We're constantly working on enhancing the docs at all times, so any feedback with regards to it is always very valuable to us. Please feel free to share with us how we can improve the docs for you over our support channels (or by sending to contactus@instabug.com) and we'd love to help with it. While Instabug doesn't quite specialize in analytics as you mentioned, we do have a useful analytics tool on the dashboard named "Bugs' Analytics". This tool should show the overall trend of your incoming bugs. Regarding the user events that you mentioned, they should be sent with each session a user completes as well without the need to send a bug or crash report. Please let us know if that's not happening for you. If you have any additional feedback, we'd love to hear it! We hope you have an awesome time using Instabug. Instabug gives me more and necessary details we need. Information like Bugs and Crash Reports other detail like Model and type of phone a particular user uses, the location and version of the App he/she uses. The crash report is so nice and useful to help us to improve our App. We are glad to hear that Instabug is providing you with the tools you need to make your application much better! As we're continually working on improving our product, any feedback with regards to it is always precious to us. Regarding your feedback about the length of the recorded videos, we'll most definitely take it under consideration, as it's very valuable to us. If you have any additional feedback, we'd love to hear it! Please feel free to reach out to us through our support channels or through contactus@instabug.com. I hope you continue enjoying using Instabug. "Instabug helps us solve issues with lightning speed"
The best thing about Instabug is the amount of data it provides the development team with. No more guessing whether an issue is a backend or a frontend bug! We like the integration with JIRA and Slack. New bugs are automatically created in our JIRA and we are notified about new reports in a Slack channel. Going trough all the data and closing duplicate issues is still a choir for the product team. But it is well worth their time. The SDK used to be a little unstable and caused quite a few crashes. That improved a lot over time. Using the SDK is quite demanding on RAM and processing power of the users device. The app performs a little worse on low-end devices when the SDK is enabled. Enabling in-app chat requires having someone ready to answer the users! Don't forget about that! Always upgrade to newest version of the SDK as soon as possible. The Instabug team introduces new features and improves the performance all the time. Instabug allows the product owner to reach the users faster. Debugging new versions of the app takes a lot less time. Finding bugs that are specific only for a few devices becomes much quicker. Instabug helps us debug scenarios with specific conditions - slow connections, changing networks and losing connection. The best thing about Instabug is how easy it is to use and how well it integrates with our workflow. The screenshots and video recordings give our developer extra insight into the issue - making bug fixing quicker and more efficient. Our app, Buengo, is a marketplace with a host of complicated functions, Instabug has been instrumental in ensuring we identify bugs as soon as we discover them quickly and without hassle. Nothing! Any time we have found something we think could be improved, we have contacted the team and always received swift and helpful responses. Highly recommend for anyone looking for a user-friendly way to capture feedback and report bugs. We use it to record bugs that our in-house team find, as well as encouraging users of our app to provide feedback, too. We integrate Instabug with Trello, meaning we can create an efficient workflow and track our bug fixing progress. "Gaining insight in issues directly from the customers"
I like how detailed the information related to a customer issue or bug/crash is. The UI of how the information is provided i.e. customer issue or bug/crash needs some getting used to. May be distinguish between different sections using different colours. Selecting app from the top left corner isn't as intuitive at first. Definitely go for Instabug. Before selecting Instabug, my organisation searched for and looked at multiple options and found Instabug to be the best and most detailed, providing a lot of features we were looking for to improve the health of our apps on both the iOS and Android platforms. Catching crashes and improving app health even if the users don't report an issue. The details associated with an issue/crash, that is very nice and helps us debug problems effectively. Thank you for the kind words and for your valuable feedback! We're happy to hear that Instabug is helping improve your app's health. We'd love to hear more on which aspects of the UI you find are confusing or unclear at first. Any other feedback on the features you love using would also be incredibly helpful. Please feel free to reach out to us through our support channels or through contactus@instabug.com. I hope you continue enjoying using Instabug. "Instabug Is Crucial For Bugs & Feedback"
Automatic user properties being sent back, bug reports, and easy to use feedback for users is crucial. The easier it is for users to give back feedback, the more reports you'll have from your customers. Instabug makes it very simple and easy for customers to give us their thoughts on the app, as well as any issues that arise during users expeirences. The pricing on Instabug is a bit much, it's quite expensive for a company to use. The major reason we use instabug is to recieve bug reports from customers, but we've found that customers love to give us feedback on little things. It's been informing us of other features we should write as well. "Better to know where are bugs come from!" Good power at my working place. Great and clear experience for my team and our clients. I like to work with feedback. And it's very good to work on them. I like it very much. I like that working with a chance to know everything. Good controlling system. Great way to receive our feedback. I like how support service helps us. No bad issues at all. Good software. Keeps your work at a good level. A good solution to make a recording of bugs. Very easy to work on all history of your users. You will work on more important steps and will make increase them. We are glad that we have the ability to work with this software. We can easily find a way to solve bugs. That program works faster and better with it. We like to work with clients and receive their feedback. When we have them we are working much better. Bug reports work well enough, especially if users utilize the screenshot tool properly. E-mail support has been very responsive as I ran into various problems during setup, even if not always helpful as there appears to be a bit of a language barrier at times.. There is still not full support for Xamarin as far as I can tell. What would be extremely helpful and allow me to abandon App Center is to have crash reporting that gives me a C# filename and line number for both Android and iOS builds. Has caused conflicts with other packages due to multidex and rxjava usage. Versioning is confusing on Xamarin Android as the different pieces aren't always in sync and you have to be careful to get "instabug" instead of the similary named at a glance "instabug-bug". Make sure it includes the features for your desired platform and make full use of the trial period to test all features. We are using it to solicit feedback from our workforce in the field. It has been useful a few times in realizing when we have a problem, but oftentimes, without detailed crash information as mentioned above, someone saying "it crashes when I do XYZ" is not actionable. Thank you so much for the detailed feedback. It really goes a long way in helping us improve our product. Our Xamarin SDK is still in its early phases, and we are working on adding all the needed features to it soon. As for the crash reporting for Xamarin, It's definitely something that others have asked about before, so I'll be sure to add your interest into the mix! We'd love to hear your thoughts on how our Xamarin SDK needs to improve and what features you are missing. Please feel free to reach out to us by email at contactus@instabug.com. "Great feedback, okay everything else, good MVP multitool"
2) This tool gives us a passable set of tools each of which has its own external tool generally which helped us get started. For example Instabug provides a logging service, symbolicated crash dumps and basic analytics. All of these tools are better from specialist tools, but having them all integrated at once and in one place was very convenient. Also to be clear the user feedback is top notch. Crash reporting analytics only go back one week. Logs are truncated on iOS despite the SDK claiming they shouldn't be. Use this product if you want user feedback or a general multitool for the product. We are trying to understand user behavior and user frustration. Instabug gives us an excellent window into both of these things. We'd love to hear from how can we improve our crash reporting analytics, and how it would be more beneficial to your workflow. So, Please feel free to reach out to us by email at contactus@instabug.com. Have a nice day and enjoy Instabug! "Indispensable mobile app diagnostics in-app bug reporting and customer/support chatting." As both QA and Technical support, I love the fact that Instabug effortlessly empowers the user to provide me with an annotatable screenshot, a note, a stack trace and device profile. Eliminating a frustrating back and forth to retrieve key configuration data. We can quickly assess whether the configuration and scenario reflect known issues or begin to identify specific configurations to which that particular problem applies. The in-app chat capability is a very compelling feature. It is definitely a feature our users use and we appreciate having that channel of communication. The problem that arises then is that there no clear method by which to route customer service calls to a customer service application and maintain that thread within that flow, instead of having the technical service and QA teams monitoring and manually routing those. Even if you can forward the request, it is not clear if there is a way to keep that channel open to the customer, without keeping it in the same queue technical support and QA monitor. Implement it early on, so that you can use the information you acquire to guide your development and to help customers communicate issues and identify inconsistencies between actual and expected functionality. Device configuration, stack trace, crash data, screenshot and customer feedback acquisition. Reduces troubleshooting time by reducing communication issues in acquiring this information from users unfamiliar with the domain, getting more relevant data to that specific moment in which the issue occurs, providing a greater scope of configuration data without exhausting the user's patience and helps establish patterns more quickly with range of variables provided. Hey Elisandro! Thank you very much for reviewing Instabug! We want to make your experience even better. Did you contact support about the integration issue you are facing? "Fast, efficient, and simple to integrate"
The ability to keep it simple is the most important element of how I like to operate. Thats key when testing out a new product right? MVP...Instabug made it simple for me to get what I needed up and running. If you look at many other vendors out there, they want to have verbal conversations and try to sell you on their solutions. Instabug was a DIY solution. Although I like talking with people, as an developer, we are often in trial mode, and do not have time to engage with others all the time. Kudos to the team there in making it self sufficient. Time difference for them to respond to inquiries. They are in Cairo, and don't always respond as fast as I would have liked. However, the answers I wanted were on their website, so I could've looked there more thoroughly. If you want simplicity and speed, this is the right solution to start. Since We are within 1 year of using it, I cant say if it will be a long term solution, but so far, it looks like we will be sticking with it. It does what it is supposed to for us. I have 3 apps now using Instabug for my bug tracking with my customers. "Significantly simplifies our Testing & Debugging process"
Integration works right out of the box on native iOS & Android. Our biggest use case is to speed up internal testing and debugging. Instabug provided us with full network logs (goodbye charles! ), full console logs, device details and screenshots w/ annotations. This has sped up our process quite a bit. Also, support has always been super prompt (< 2 hours) and helpful even on weekends. We're using Instabug for Unity3D. Unfortunately they don't provide support out of the box for Unity. So we had to spend quite a bit of time implementing our own native plugins - which aren't perfect yet. That means we don't get to use User Steps, Crash logs and several other important Instabug Features. Speeding up internal QA & debugging. Network and device logs that we get with Instabug mean that anyone - not just the QA or dev team - can submit details bug reports. Super helpful during bug bashes and when sharing builds with Clients. I like their humane support, the speed at which they act when a bug is found, and the way they pay attention to each ticket individually. There were times that we really needed a couple of issues resolved. They were there for us. It feels more like a business partner instead of a service. It's an amazing tool, and they are putting a lot of effort in making it better. Of course it takes time. We're tracking incoming bugs from our mobile app. We really use Instabug heavily to transfer tickets to HelpScout, and Slack so that 1) our support can respond fast, 2) our devs can resolve the techie ones. The detail log help me find the bug root. I can track the user activity. Notifications for Android doesn't work properly. The users management isn't good enough. The filter doesn't work. The Brazilian locale was not translate correctly. I can't organize the chat into tags or categories. With Instabug you can track bugs/crashes and offer support to your clients by a chat. I can easily communicate with my clients. Then I can drive my app development more properly. I can track the crashes occurred in my app and attack the problems in more precise way. Thank you very much for your valuable feedback. We take all your feedback and issues very seriously and will see that they are fixed. We'd love to hear more regarding your issues with the notifications, user filters, and the Brazilian locale. Can you please reach out to us through our email (contactus@instabug.com) and we will see to it that they are resolved for you right away? I will also make sure that the allowing tags on chats are considered by our product team. Any additional feedback you might have would also be incredibly useful for us. We hope you continue to have a great experience using Instabug. Options are right there where you need them. Didn't ever need to be searching for something. I can't filter the bugs using just the bug number. For eg: if the bug number was 150, i have to type #150 in filter view which i felt was unnecessary. its a great bug tracking tool and gives you a good idea on the problems faced by users. Probably not the best in terms of analyzing crashes, but can get you an idea of how often your app crashes. Creating an iOS app to help people ask questions and get it answered through broadcasting video. Users are able to shake and let us know instantly regarding an issue they are facing. This lets us know all the logs at the time the bug was encountered. "Instabug is full of bugs"
I like that its easy to incorporate feedback from customers and tie it to jira. It constantly doesn't work. We often see tickets that have to be submitted manually into Jira or else they get "lost". Sometimes the forwarding takes hours. Their web hook is broken and the bug report just sits there on github with no progress, which means we can't even tie into our own things. The Android SDK is not open source, so we cannot even fix the problem ourselves. We have to pay on a per user account, which seems awkward. Finally, where is better react-native support? Our react-native crashes do not get caught. We collect customer feedback about our product with Instabug. The benefit is we do not have to create our own bug submission tool. "Intuitive channel for endusers to give feedback"
We have made great experience using Instabug while working on early versions of our MVP. Instabug removes barriers for users to give feedback, this was crucial for a smooth info-flow. Taking surveys was a little bit tricky at the start. We used Instabug for the frontend development in 2017. I assume the usability has improved since then. p.s. : As focus shifts away from major backend tasks to frontend jobs, we plan to use Instabug again. Interacting with customers. Iterating on the product is easy, as there are multiple ways for users to give feedback. We love the feature to send screenshots and take surveys. Gives me the good opportunity the best in-app assist experience for me and my users. Now I can get more feedback from my beta investigator with in-app feedback, and screenshots. That good platform. Gives way to know everything whats going on. Perfect to have feedback. Good support service. Till now I enjoy using that software. Very good solution to have. Ability to record bug. To know about your users and to see a report of their history. Also, you will be able to draw on the screenshots. And of course, increase what's most important. Gives to as a chance to fix bugs quicker with an automatic way to reproduce, internet logs.So great that we always receive feedback. Which is making our work more develope. Instabug is the top-of-the-line bug reporting software. We use it in our app to make it easy for people to report issues, and insure that when they do, those reports at rich with information that makes it faster for our developers to tackle issues. Competitors also have pricing that charges per user (or has limits on the number of users), and Instabug doesn't have that. You pick your price tier purely based on what features you want. Instabug isn't cheap, but it's worth the price in my experience. Evaluate the competitors, and decide what features matter to you. Faster bug reproduction, better communication tools with our users, integration with jira and slack, video recording of issues vastly reduces developer time and the in-app surveys are pretty killer. "Powerful insights and intuitive feedback tool"
As a software developer I really appreciate the level of detail that Instabug provides, giving me a deep level of insight to help diagnose and debug issues that users are having. In addition to this, the feedback tools that users are given in the app allow them to clearly and effectively describe the issues or suggestions they have. The support I’ve had from the Instabug team has also been second to none. From a data privacy perspective, the app integration is ‘all or nothing’ and I would rather have a little more control over what and how much data Instabug collects. Instabug helps us internally to QA our software, and externally to keep our users engaged and iteratively make our software better all the time. Thank you so much for sharing your experience with Instabug. I'm thrilled that our product helped you to engage with your users in a better way. I really loved that it is possible to only take screenshots but also annotate them to point out the exact area. It has helped me to fix lot of bugs with my early tester reducing back & forth communication. I also liked the surveys feature from Instabug which also enabled to easily collect feedback on certain features. Not sure, if I have anything to complain about. Seems nothing to dislike for me. - Collect crash reports & User feedbacks. - Surveys on new features being launched. Thank you so much for your feedback and for your kind words. We work hard to meet expectations like yours, and we’re happy to hear we hit the mark for you. I'm glad that our in-app surveys help you to collect feedback easily. We're always working on improving our surveys feature, and we recently released a big update for it. I hope you had a chance to check it out. If you have any feedback at all, we'd love to hear it! You can reach us at contactus@instabug.com. I really liked how the customer care follow up their ticket. I've contacted the customer care and a guy Rami was following up most of my cases and I really liked him and makes me comfortable that my issues are going to be resolved when he handles them. Instabug is a great service with many great features. There are some bugs or flows that I discover and report them directly to them and they take good care of them. Crashes, communication with the users and surveys. Thank you for the kind words. I'm delighted to hear that you had such a great experience interacting with our customer support team. I completely understand how rewarding it can feel when your problem is solved within minutes, and I'm glad to hear that our support team was able to accomplish that for you. I will definitely relay that message to the rest of my team. If you have any feedback at all, we'd love to hear it! Please feel free to reach us at contactus@instabug.com. Again, thank you and enjoy Instabug! "Removes friction for your customers and testers!" At Teleportr we love how frictionless it is to get feedback from our beta testers and customers! Having as much information as possible without having to bother the customer with a ton of questions makes reporting bugs and getting feedback very simple and streamlines the triage process. We'd love it if the statuses were customisable so we could customise Instabug to suit our workflow. We help our customers to report bugs and suggest feedback, therefore improving the software and in turn their user experience! Thank you for your feedback! We are happy to hear that you got exactly what you wanted out of your bug reporting experience with Instabug. Regarding the statuses, we'll definitely consider having something more customizable for future references; we'd love to hear from you more on what new statuses could we add to suit your workflow, and thank you for pointing out this. We'd really love to hear back from you! "Excellent product, fantastic support and lovely team"
It's hard to single out one thing with Instabug because it is the sum of all factors that makes it such a winning product. It is my one-stop shop for crash reporting and debugging, whilst also my provider for customer support, bug/feedback tracking and even real-time chat with customers. I like that I have all of this in one place in a clear and easy to use dashboard. On top of this the Instabug team is a joy to work with, providing very fast developer support even on the weekends, and showing willingness to improve and modify their product in accordance with our needs. The only criticism I can really level is that there is the occasional bug with the dashboard/system. This has never really been critical, and as a developer I understand that this goes hand in hand with their continued development and improvement of the service. The fact is that anytime there is an issue they are extremely quick to respond and implement any necessary fix. Occasional issues are inevitable in software, but their dedication to a fast and proper response is admirable. It's free to use on the lowest tier. You have nothing to lose by trying it and I believe you'll be staying for the functionality and wonderful team behind it. We had no reservations in moving to a paid tier based on our experience. We're improving our product in terms of stability using their crash reporting, and in terms of functionality using customer suggestions and bug reports. "Streamlined system, combines multiple services"
Apart from usual log, analytics and other common features, it has multiple channels for communication, even includes real time chat. That is sometimes a separate service we need to pay for. Having everything included in a single service makes it easier. There should be a discounted tier for smaller entities/sole developers. The features would help a small non-funded company or someone who is trying to create a product by himself/herself. But during the initial period, the price is not helpful. The free version does not include anything usable after trial. One easy drop in setup covers almost all the customer feedback/crash and bug tracking needs. Would definitely help app stability and app store reviews. Previously used to spend a lot of time trying to figure out blindly what actually triggered a bad app store review. Also, it was not easily possible to contact the users directly to get feedback. With instabug, some users even provide feedback instead of giving a bad review. Having an open channel gives the customer some confidence that the bugs/issues will be resolved. Otherwise, they would switch to a different app. "Instabug helps my company react fast"
We are running a financial App and use instabug to keep track of app crashes and bug reports. There are two things I like about Instabug. The first is the shake your phone and report the bug feature. We use this feature to test app, let user communicate with us and provide this novelty feeling (users love shaking their phone!) the screen capture and video recording functions are really useful for bug report. Second thing I like is the integration with Slack, allowing the team to track bugs and react fast. We had some issue with bug reporting in the App. For example, when I tried to take two screen capture in one bug report, the app crashes. It should be some integration issue with our App. Thank you for reviewing Instabug! I love the shake feature as well! "Solid bug and crash reporting platform"
Instabug's bug reporting features have been very helpful in discovering discrepancies between our (the developers') expectations and those of our users. The crash reporting has also been invaluable, and has helped us eliminate many potential problems prior to releasing builds. Symbolicating crash reports is a little bit of a manual process, though it is really a fairly minor issue. It is very easy to use, though if you need to communicate with users who are reporting bugs, and you don't have another way of identifying contact info, I'd recommend getting one of the upgraded packages for Instabug as this is the only way to get that info. We allow users to report bugs or requests through Instabug, and it has been very helpful seeing screenshots with user markup letting us know exactly what they're seeing, what they're expecting, etc. "One application which satisfied all my needs!" After from crash report generation, Insta bug is acting as like a project management tool. This is your little customer from India, While I am developing the application I got a lot and lots of issues, As a developer, I couldn't able to track the issue, due to this I was totally down in my tech side. One of my friends referred your service, That is an awesome one. Where I could able to track all crash and with the help of this I have fixed the problem and provided an app on time to my client's. At the end of the day my client is Happy through their Happiness, The Happiness came to the front by itself. And also I should appreciate the work of the support team they are doing their job very well. Also, have an option for sending video. Thank you and enjoy Instabug! "An easy way for the team to report bugs"
The shaking to report a bug feature can be annoying when accidental shakes make the dialog come up. There were some bugs when using an older version of the Android sdk (multiple bug reporting dialogs were popping up) but updating the library fixed them and now it seems to work just fine. Other than that, the price is a little steep. Instabug allows our non technical clients to get involved with the QA process of the products we deliver to them if they desire. The shaking to report a bug feature is quite simple for non technical people. Hey! Thanks for reviewing Instabug! "Great way to stay on top of issues"
Since integrating Instabug, we've received a lot more bug reports and feedback than we were getting from play store feedback alone. This is a great way to connect quickly with customers before we lose them! I wish there was a separate chat pop-out for desktop that gave better real-time notifications, a flashing window, or something along those lines so we can be responding even faster like Live Chat. The separate chat pop-out so we can have better instant notification and get back to chats quicker in real time. Gaining important feedback on issues that exist with the app when normally we wouldn't receive that feedback. "Best third party for Android development"
Crash reporting need a time if i compare with firebase crashlitic, instabug need improve speed. for reporting BUG this is very good, you can report video and picture directly via your app build. flow how to report BUG from to Developer now more effisien. We really appreciate your kind words. I'm happy that our bug reporting feature is helping improve your workflow while making it more efficient. We'd love to hear your thoughts on how the crash reporting needs to improve in speed, maybe there's some way we can help improve it even more for you. We'd love to hear back from you. Please feel free to reach out to us by email at contactus@instabug.com. I hope you continue to have a great time using Instabug! "Instabug: No more a nice to have dev tool"
The simplicity to communicate and share bugs between testers/users and dev team. Crash reports and scenarios allowing dev team detecting root causes and saving hours if not days of bug fixings for irrelevant issues. Some features of silver package had to be available in the bronze one, e.g. user steps, profiler, ...etc. Save time in reporting bugs, identifying root causes, reporting crashes automatically. Thank you for your kind words. I'm delighted to hear that you had such a great experience with our product. Don't hesitate to reach out if you have any more questions, comments, or concerns by email at contactus@instabug.com. "An interesting product and SDK that fits right into my mobile app"
Ease of integration and the extensible SDK that allows for a very customized integration of the bug reporting software into a developer's application. feedback instantly started flowing as soon as the new app update was distributed. I had some trouble separating bug reports from the production version of the app and the beta tester's version, sometimes it's not as obvious and I had to ask the user for which version of the 2 that they're currently using on their device. 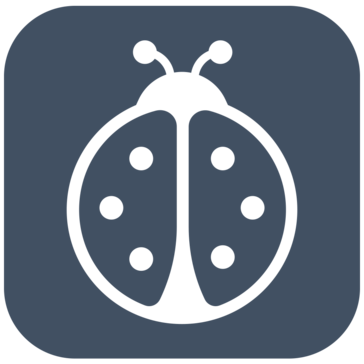 I would like to recommend Instabug if you're a developer who has mobile apps and needs a quick, affordable and efficient way to collect bug and crash reports from your users without bothering them too much. I am trying to eliminate the software bugs that annoy my app's users from time to time, Instabug allowed me to collect interesting bug reports about app crashes and mishaps, which I wasn't aware of, therefore I benefited from improving my app quality. "Instabug review regarding user experience"
that beta testers can use instabug to send in their feedbacks. that instabug has screenshot and video options too. that developers get their logs ! Hearing Instabug makes it easier for the beta testers and you to send in feedback makes us very happy. Regarding the pricing, we have a start-up discount that you can apply for if that would be suitable for you. Please feel free to reach out to us through our support channel or through contactus@instabug.com so we can help you further here. This tool allows my team to really focus on building a great customer experience for our mobile apps. It takes the time away from bug management and lets you focus on what matters. I dislike the pricing structure since we are a small team, every dollar counts but this tool is still worth every penny. This is one of our most expensive tools. This tool is much better than other in the market. It does exactly what you need, Many other tools give you features that you are likely never to use. I really love the video record feature. No more having to connect to QuickTime to make a video to show a bug. "Very useful, but some troubles with integration"
Easy for beta tester to submit feedback. Shaking the device to start the process is super easy, and even fun, so it encourages users to use it. Integrations kept breaking. Several times we would have to go back in and troubleshoot and reconnect Instabug to our third-party integrations - namely Jira, sometimes Zendesk. Very useful product, but make sure you have a regular contact at the company for support. Generating large amounts of user feedback during our beta testing phase. We needed to ensure people understood how to use our new app, and also what features or sections were causing the most friction. It gave us insight into how people wanted to use our app, rather than how we imagined they would be using it. "Easy and effortless way of providing and receiving feedback"
The fact that just by shaking you can provide feedback helps users and testers provide information effortlessly. Also the ability to provide a screenshot or screen recordings and edit the image to highlight where is the issue. Some times it's very slow and takes a few taps before I send the message. Feedback received via the Trello integration is not very user friendly. Beta testing for our upcoming app and receiving feedback. We have been able to spot bugs and implement improvements. "One of the best tools in this price range"
I love how well this tool integrates with our other tools. They have also added new tools such as survey and in app chat. I can not use 1 tool and drop 2 others. The support sometimes takes a bit longer to solve my issues but tuts usually pretty good. Give the tool a try and you will be sure to love it. They even have a trial that allows you to be on the silver plan which gives you access to most of their features. This is mainly a bug tracking tool for my team but we have recently integrated the new in app chat tool and survey tool. "Great reporting for bugs and crashes"
Instabug is easy to use. The handy shake reminder on opening lets the user know how easy it is to make a report. Instabug feeds into our Jira board so we can easily add bug fixes directly into our sprint based on bug reports we've received. Outside of just bugs it has also become a convenient way for users to give us feedback on our apps. Often members of other teams will download an app and play with it. They then use Instabug to give feedback on bugs, UI, and UX. Sometimes Instabug doesn't always play nicely with our apps. There are occasional conflicts that we run into when building an app that has integrated Instabug. This has been less of an issue lately, but it has caused some problems in the past. It's easy to use and setup. Would definitely recommend having it in any app before launching. Sometimes as developers and designers we get so married to the product that we have a hard time recognizing when there is a problem. Instabug allows us to easily get feedback from users and our QA team. Its integration on Jira has made our workflow and bug reporting process a breeze. Best support. All questions at least acknowledged within 30 mins or less, 7 days a week. Would like a little more customization (such as colors) to fit in more with my app. Don't forget their startup discount. Use it for crash reports mainly. The other stuff (such as Surveys) as just icing on the cake. Thank you very much for your kind words, we always love to help at anytime we can. We'll definitely be considering improving the customization of the colors of the SDK. Any feedback you have here is more than appreciated. I like the convenience SDK offers to stay in touch with my users. It gathers all technical data I need to troubleshoot the issues. Good looking UI attracts more users to leave their feedback. Sometimes there are releases with crashes, so I should carefully consider every upgrade for the SDK. I solve the issues with crashes and technical issues with my software. It's very easy to reach out the developer and pass all the information I need without a user taking any additional steps. Thank you Dmitriy for reviewing Instabug! Screenshot feature is awsome, chat function is awsome. Beta/Live Switch is awsome. Only one App with Beta/Live support in free tier. 2 Apps with minimum other features would be good for very small startups which built a cross platform app. Hunting down stupid frontend bugs via Screenshot feature. Getting Feedback on stuff. "Best instant bug reporting tool"
I like the instant time you can report or track any mobile app bugs, this site is a potential for the program developers. You can track and report in very fast time, the site graphic is easy and basic, the domain is high quality and the band is so much. No lag with the domain, best band. I don't like so much the support, they take too many times to answer to some questions, Instabug need to improve that things. If you are a program developer and you need to track or report some bugs this is the site that you can use, instantly you can report and track. I can track and report the bugs instantly and easily in a few seconds, this is the best thing of this site. I like the fact that a user can record a video of reproducing the bug. A video conveys much more information than a simple screenshot and/or text descriptions - which is key to fixing bugs faster. It also helps clarify the severity of bugs. I don't like the initial overlay that pops up when the app is first installed. This causes confusion for the user. Would be better if the timing can be manually set in order to smooth the on boarding experience. We're trying shorten the bug reporting/fixing loop and also trying to get more accurate bug reports. The benefit we've realized is that Instabug helps in both of these key areas. Thank you very much for your detailed feedback! We're very happy that Instabug is helping you shorten the bug/fix loop. If that doesn't quite do the trick for you, we'd love to hear more of your feedback on it and on any other features you use. Please feel free to reach out to us on contactus@instabug.com. We hope Instabug continues to help you provide quick bug fixes! "Best Crash Reporting framework so far!!" The event tracking leading to a crash is a pretty cool feature. We can log queries that lead to crash and check it in real time. No Filtering of crashes per app version should be there. We brought down the crashes from 4% to 0.7%. As for filtering by App version, I have some good news to share with you, with the new design of the Crashes page now being released, we've added new filter options among a host of other new additions and changes. "Instabug is the Most Easiest Bug Reporting appication"
Its very user friendly and easy to use. I like conversation feature its make us more communicative. I like in app bug reporter, here i can capture the pic and i can draw anything that can be understand by others. Shake and draw feature is very nice. Integration with other tools is easy. Dashboard feature is also very useful i can see my information within that. cool tool for testers. I dint faced any issues as per my work. I recommend this tool to others who wants to make easy of theirs testing work. Bug tracking and reporting also. "Instabug has been a great help in figuring out where the problem is"
The user steps feature allows us to easily see the path the user took to generate the bug. Also, the API was easy to install. And, bugs are simple to view and see logs etc. It helps me to identify where the problems in my app are so that I can quickly fix them and deliver a better experience. "This API will change the way you test an app"
I love how they are constantly adding features and integrations to this project. We have Instabug integrated with Jira and this creates a flawless flow from our testing process to resolving a bug. I dislike that you have to upgrade to the mid-tier plan to get very useful features that should be available in the bronze plan. With Instabug integrated to all of our app, it allows my team to test app much faster and with higher quality bug submission. It gives the dev team all the details they need to resolve an issue. * We monitor all Instabug reviews to prevent fraudulent reviews and keep review quality high. We do not post reviews by company employees or direct competitors. Validated reviews require the user to submit a screenshot of the product containing their user ID, in order to verify a user is an actual user of the product. Hi there! Are you looking to implement a solution like Instabug?